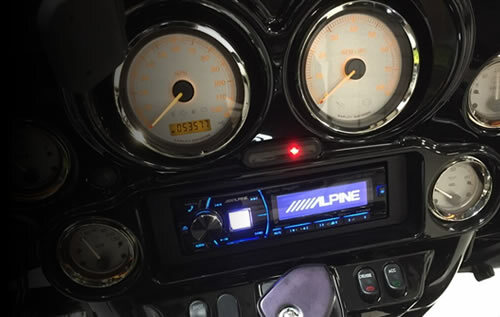 Elite Audio offers sales and installation for Motorcycle Audio systems, including custom stereo decks, speakers, amplifiers, LED accent lighting, and other electronic accessories in Spartanburg, Greenville and Upstate, SC. Elite Audio can turn your motorcycle into something special, with a custom stereo, speakers, amplifiers, or integrated system that maintains a factory look and controls. Take it up a notch with an LED lighting install that will create a dramatic visual impact and turn a few heads your way. We can work with your existing electrical system or factory radio unit, keeping all your controls in place but giving you more power, better sound and quality acoustics that stand up to wind, rain and the elements faced on the open road. From custom stereos, to upgraded speaker systems, amplifiers, and components, Elite Audio can take your motorcycle audio to a new level in performance and sound quality. From cruisers to sport bikes and everything in between, Elite Audio has installed a variety of custom stereo systems that look as good as they perform. All our motorcycle compatible audio products are designed to directly fit into the factory locations of your HD motorcycle and without the loss of usable storage space. This allows you to upgrade your motorcycle stereo without the loss of any factory controls or options. We have several motorcycle performance audio kits that are designed to fit within the confines of your Harley Davidson front fairing and includes all necessary parts accessories needed. If you are a do-it-yourself kind of person they have instructions needed to complete the installation of your audio upgrades. Most kits are designed not to exceed your motorcycles factory charging system and without voiding any part of your factory motorcycle warranty. 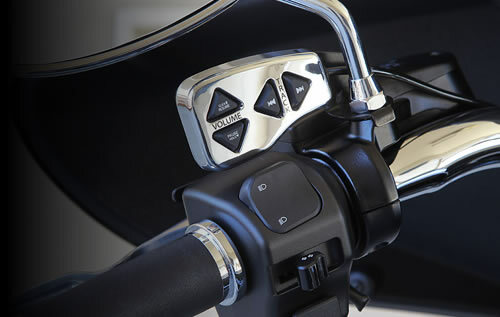 A built-in Hi-level interface on all motorcycle amplifiers allow you to keep your factory radio with all of the features and functions that were designed for your Harley Davidson motorcycle. All our suggested amplifiers and speakers from JL Audio, Arc Audio, Hertz Audio and Memphis Car Audio allow a smooth integration into your factory audio system. 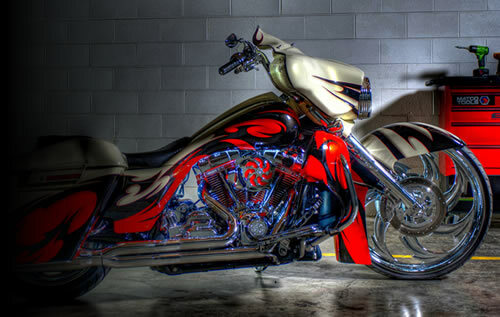 Elite Audio can turn your ordinary motorcycle into something extraordinary with an LED lighting installation. Choose from mild to wild, with an array of color options or the ability to choose from a full spectrum of color with the click of a button via a remote control. Lights can be kept constantly on or select an intermittent setting, rotation, fade, and more. You'll definitely stand apart from the crowd and give your bike a whole new look with a custom lighting install.